This pattern is available from interweave.com for $17.95. 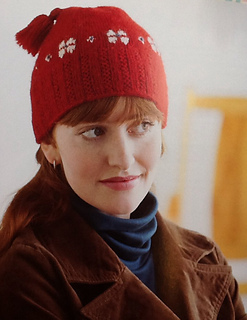 Swedish tradition inspired woolen cap worked with ‘twined knitting’ techique. Decorated with simple flowerlike motifs and some embroidery.